Time is way, way too busy and too fast. Well, to make it short I am now training. 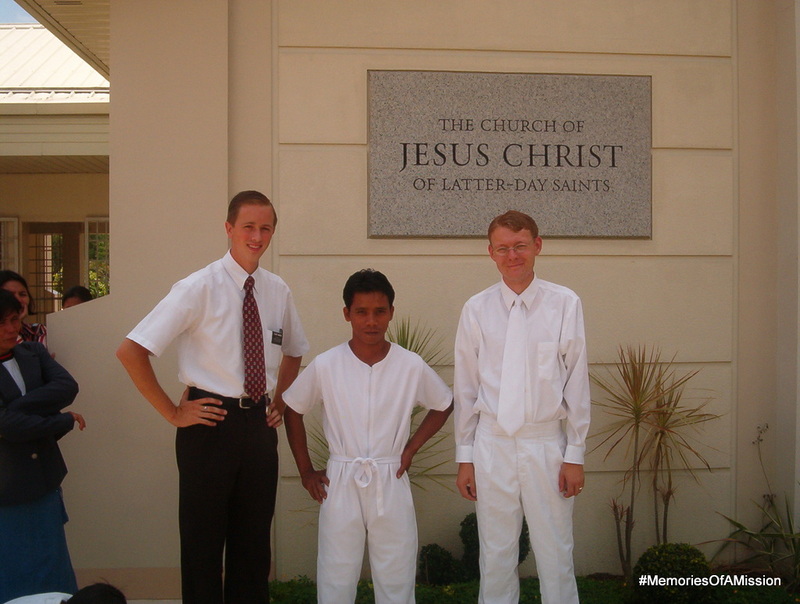 My trainee’s name is Elder Tharp and he is from St. George, Utah. He is the youngest of eight children. He is a good elder. Being with him reminds me a lot of my first few days in the Philippines. He is so excited and energetic about the work. The greatest is that he isn’t afraid of messing up and so he is always willing to talk to people. I have a lot to learn about attitude from him. I really hope that we will become firm friends. He is still a little lost now and so his real character hasn’t really started showing. We had a good experience yesterday when we showed Jhun the Restoration DVD. 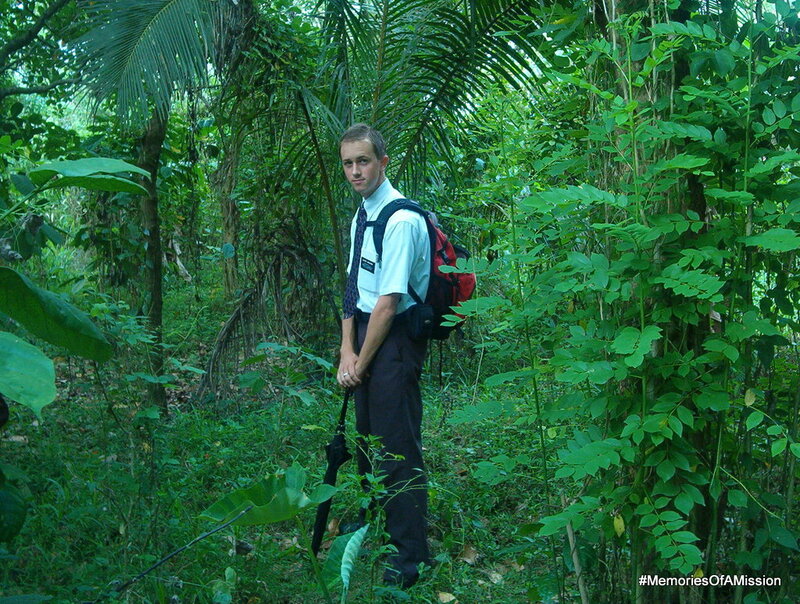 Elder Tharp bore testimony first and even though his Tagalog was really broken the spirit was strong. Everyone knows the language of the spirit. I just have a little that I want to write today. 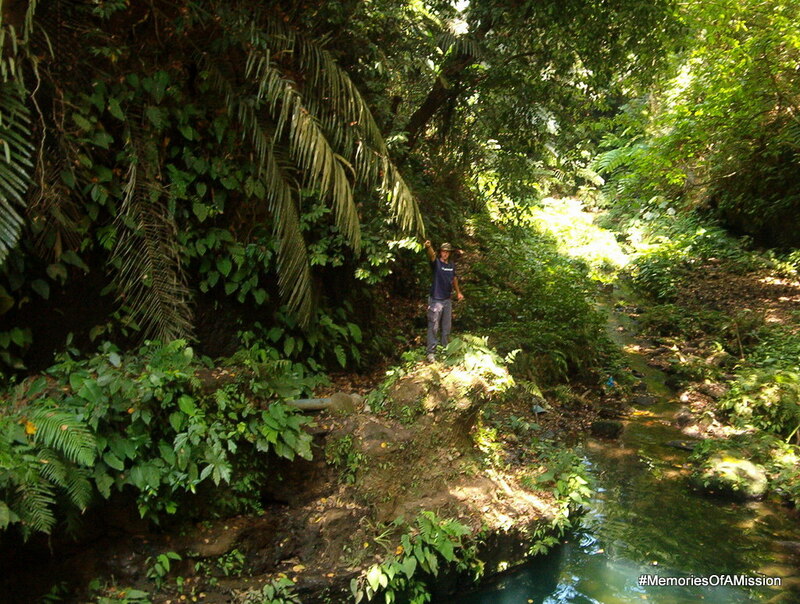 We went to Silang today for me to do a baptismal interview. We finished there around 6:00 and started to wait for a bus to go to Alfonso. Well, one bus went by and didn’t even stop even though we waved it down. Luckily, the next bus wasn’t very long in coming and we barely were able to ride. I got on and sat down next to a young man. There were three of us on the seat and so I was hanging half way off the seat into the aisle. I asked the young man next to me where he was going because I wanted to know how long it was going to be before I would be able to slide over. I didn’t intend to talk to him, but he started to talk to me and we started to have a conversation. Once I told him about the church a little bit, he had a lot of questions, he started talking about how there probably isn’t one “true church” but that all you have to do is believe or feel good. He then asked me if I believed that this church really was the true church. I told him that not only did I believe that this is the true church but that I know it is true by the spirit of God. I got to explain to him a bit about the Book of Mormon and other things. He told me later on that he was really surprised that I could say I knew it was right. He asks a lot of other religions, Inglecia, Dating Daan, Sabadista,.. etc about religion and none of them can say that about their church. I’m so grateful that I do know that for a fact. That knowledge is truly a great blessing. Wow, I really am getting lazy at writing in my journal. We had district meeting again today in Dasma. It went all right except that the lesson that I wanted to do really well about praying with faith, sort of got derailed by questions that really were not at all applicable. I did, however, get a good “snail mail” letter from Sarah as well as from A. which helped to brighten my day. We also did our emailing today because we will be at the temple tomorrow and won’t have time. I want to relate an experience that we had yesterday with Larry Del Mundo. We found Larry a few weeks ago when we were teaching his brother about the plan of salvation. He was really into the discussion and asked good questions. This Sunday we visited them with Sister Encarnacion, the Branch President’s wife, and taught them about the gospel of Jesus Christ. 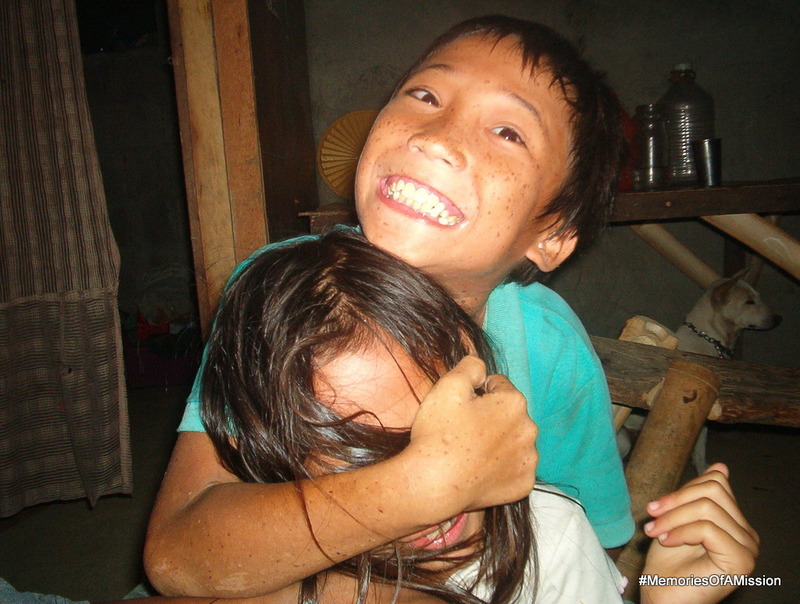 We also tried to give them a baptismal date for June 18. They all declined but Larry seemed really close to accepting. 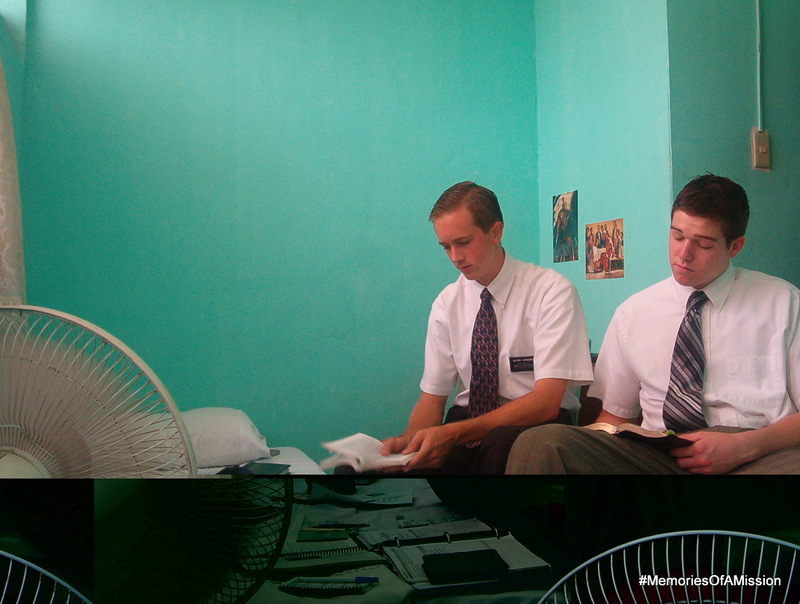 We told them to read 2 Nephi 31 and to pray about it and ask God if it was the right thing to do. Anyway, we went back yesterday afternoon. We just read with him mom and sister because he was out on an errand. Well, half way through the chapter, Alma 7, he came in and sat down. When we finished the chapter, we went around the circle and had everyone share their feelings about Jesus Christ. Larry bore a really strong testimony. I had something in the back of my head telling me to ask about his commitment to be baptized. Shame on me because I didn’t follow it. As I was about to close he started talking and asked if we were still having a baptism on the 18th. We, of course, told him that we did. He then told us that he had read and prayed the night before and that “the answer for [him] is ‘yes.’” He said, “I don’t know about my mom and sister, but for me it is yes.” We were a little shocked but of course happy. I had my testimony reaffirmed of the truthfulness and of the converting power of The Book of Mormon. I come to love that book more and more every day and see it working in my life and especially in the lives of my investigators. I know of a surety that it is true and that Joseph Smith is a prophet of God. We had a zone activity today in Tagaytay at the bowling alley there. It was fun even if I didn’t do so well. I also got my hair cut today. I’ve taken a liking to having it cut short. It is much “cooler” in the true sense of the word. We had a really good schedule setup for tonight but it turned out to be not so good. Our first appointment, who we were thinking about giving a baptismal date to, fell through because he had some place to go. We got to go to our second appointment. We taught, I guess not very well, about how only through baptism into the church can a person bake it to the celestial kingdom. We tried to extend a baptismal date to him but he was full of all kinds of excuses. It was really depressing when he just casually rubbed off the date, church attendance, and even just letting us teach his family. I don’t know what else to do for him. I also am again upset with Elder Durrant. He still treats me like I don’t know what I’m doing and won’t let me lead. I don’t know if it’s really him or if the problem really is me. Today was a good day but also really crazy and busy. This morning we had Albert’s baptism at the chapel in Silang. We left from the meetinghouse this morning at 8:00 and got there at about 9:30. When we got there, however, the church was all locked up and no one had a key. We texted the Silang Elders and when they didn’t reply we were about to get on a jeep to go to their apartment. Luckily they got there just as we were about to get on a jeep. They didn’t have a key either though and so we texted all over the place until finally somebody came to open it up at about 10:30. We also, then, had trouble getting the font filled. Well, around 11:15 all was finally ready and we had the baptism. It was really sweet and I know that he felt the spirit. 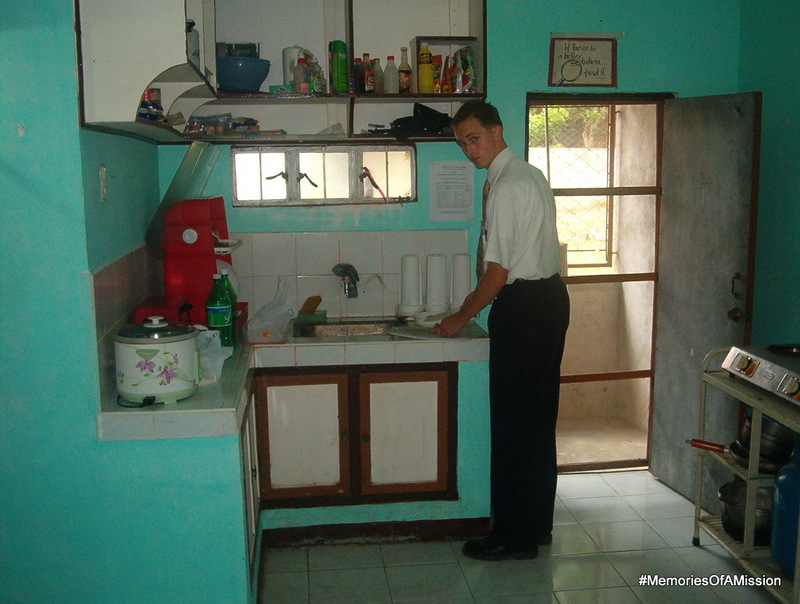 Elder Durrant also did a great job and didn’t mess up at all. I guess it worked out all right even though it was a little crazy. We also had to do our interview for the sisters in Dasma. The interview was for a 22-year-old young woman named Mimilanie Lelia. It went well and she is ready for baptism next week on the 30th. The sprit is amazing and even though I’ve never had to deal with a situation like that I was helped to know what to do. It really is amazing. Today was an interesting day. We had a house with nobody home send four different people out to talk with us. We taught a first lesson to an Inglecia who rejected it all at the end. We taught a powerful first to an OYM from before I arrived. Anyways, interesting. We “helped” the Sanchez family move this morning. 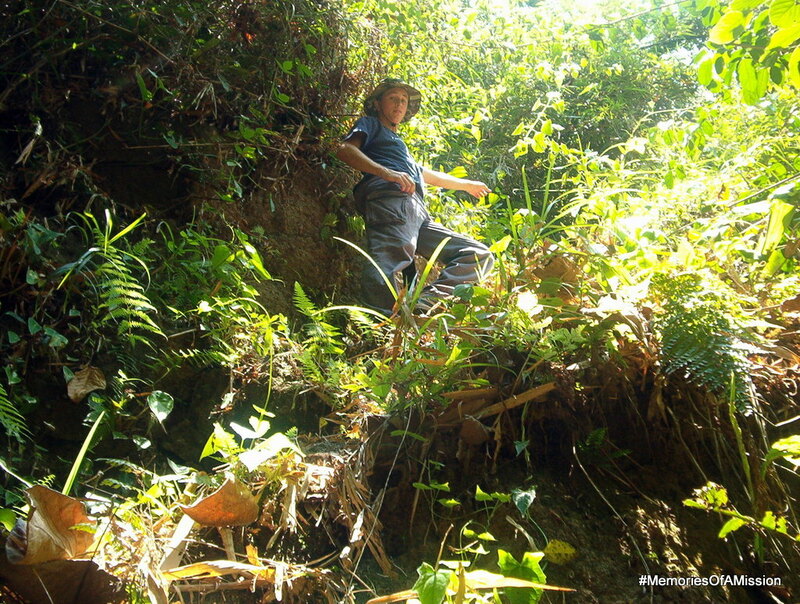 The only problem was that they had already left and so we weren’t much help except for helping to organize their home and getting water from the spring. They are still happy and doing well. We got to teach a good first lesson to Jhun. He used to be Inglecia but he left. The sprit was really strong in the lesson and I felt that he understood well. Well this isn’t as long as usual because I’m dozing off and can’t really write anymore. We got a lot accomplished today. We had an interesting finding experience this morning. 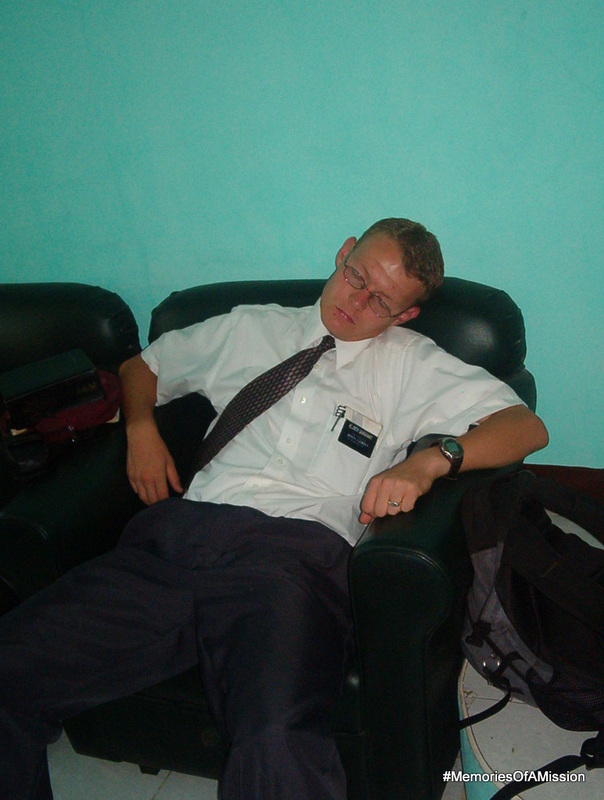 When we went to visit our recent convert, Gerber Hernan, we found his Dad sitting on the couch. He lives in another place so we hadn’t met him yet. We started to talk to him about the church and the restoration. When Gerber finished showering, we were going to start and dad said that he would leave and excuse himself. We asked him to stay and he decided that he would. We taught him the message of the restoration and he was really interested. I guess it goes to show that always opening your mouth does pay off in the end. We also had a really good lesson with Albert and the Sanchez family. They told us that yesterday the owner of the land they live on came by and told them that they have to leave that house. 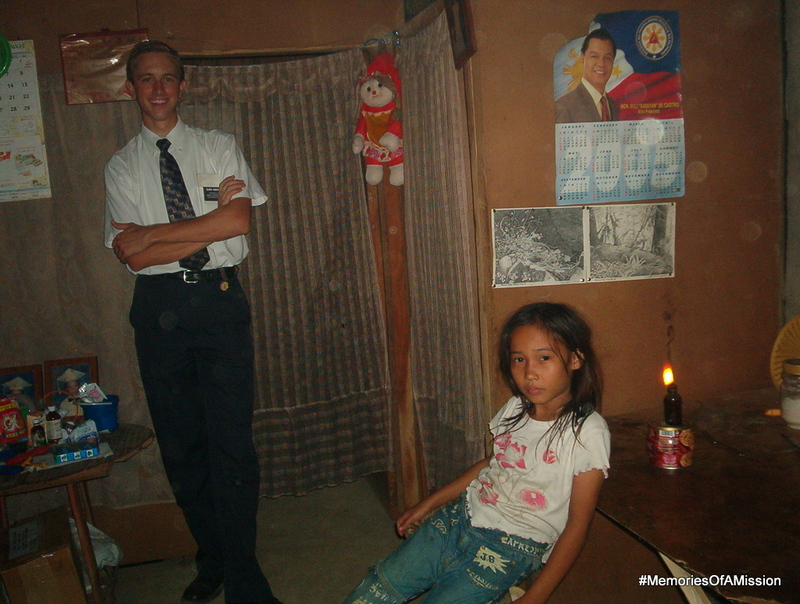 Sister Sanchez said that he was drunk and also that he had a large debt to the Sanchez’s. They said that they could probably work it out but just to ensure that there are no hard feelings they are going to change houses tomorrow. I am really impressed with their example of patience in adversity and of meekness. Brother also related to us a story that happened to him before. He never has had any trouble with drinking alcohol but once before he had his standards tested. He was invited by his friends to drink. They had all brought alcohol, of course, and so he went and bought a Royal orange soda. The others started to make fun of him telling him that it wasn’t a “man’s drink.” He told them that he just couldn’t drink alcohol. They tuned violent and poured alcohol all over him. As he tried to leave, one grabbed the collar of his shirt and ripped it in half. He was also beat so much that blood came from ears, nose and mouth. The thing that impressed me about it was that he never turned back in anger but instead he was patient and meek in the hard times. I hope that I can learn from them how to be more humble and also meek. I learn so much from my investigators and absolutely love it. 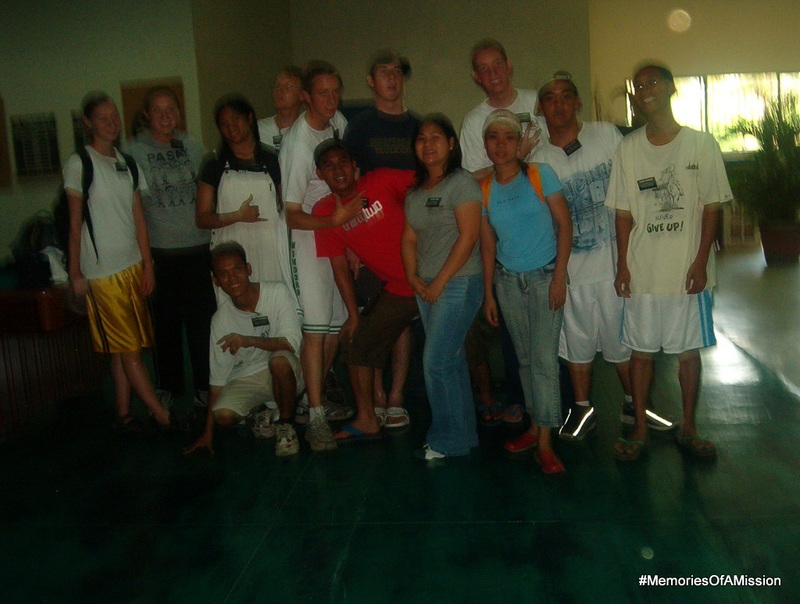 We had exchanges yesterday after Zone Development Meeting and so I worked in Dasmariñas with Elder Hanson. It was good and I learned a lot from it. Today was a good P-day. I did the attribute activity from Preach my Gospel to try to help me figure out some more of the areas that need improvement. It was good. I also read most of the April Ensign. President Hinckley has a really good article about how the members’ lives really are the defining symbol of our church. The examples of the members should point people to Christ and encourage them to follow His example. I love President Hinckley. I know that he is God’s inspired prophet for our day. 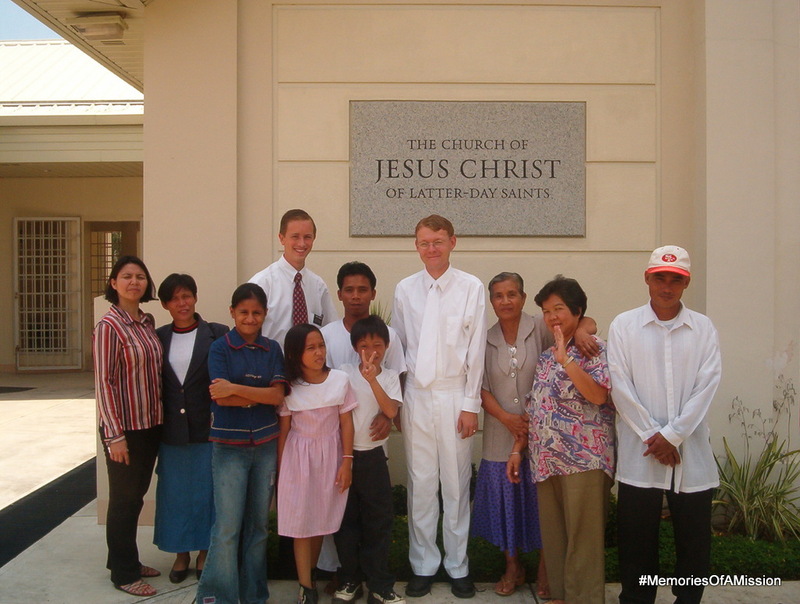 I decided today that I’m going to try to increase my level of charity by serving Elder Durrant daily. I don’t know how yet because he is very tidy and doesn’t leave much undone. I’ll also pray for charity. Church today was good but we still didn’t have any investigators come besides Albert. 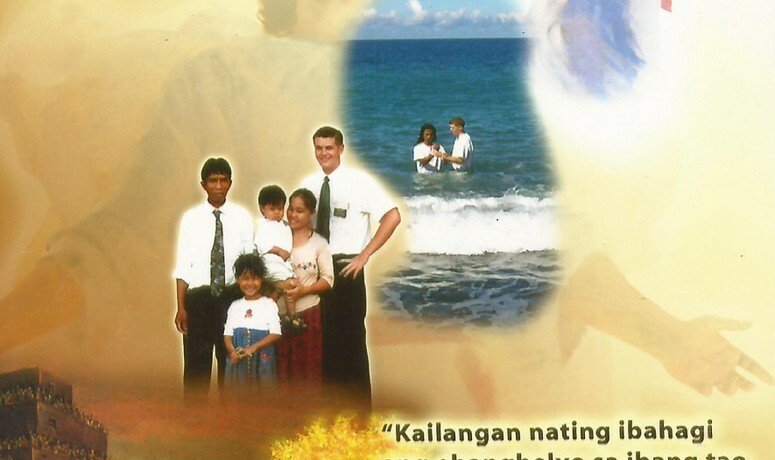 We met the new senior couple that is assigned here, Elder and Sister Abraham. They are Filipino and very nice. We had an interesting Sunday school meeting because Bro Wilson, the black man who attends, had a lot of really off the wall questions about gifts of the spirit. 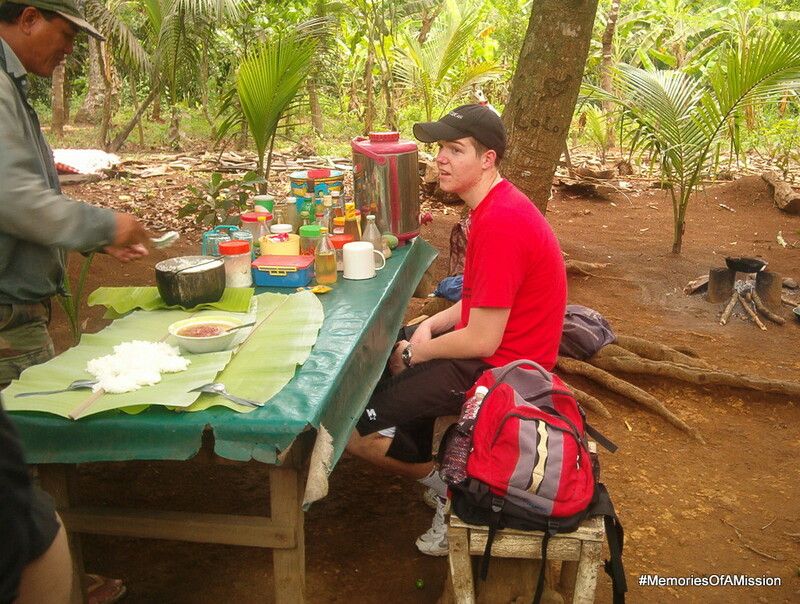 He is a good man but doesn’t really know Tagalog and so he can’t really follow the lesson. After church we asked President Incarnacion, Bro Jo-Jo, Bro. Andy and President Espin, the Branch Leadership, to talk with us. The meeting really helped us to gain a relationship with trust to them. We offered to help and were given some ideas. Hopefully after the leadership knows that we are willing to do anything for them to help with their calling, then they will also be willing to help us and work with us. That is one thing that I really want to get going here in Alfonso, member work. 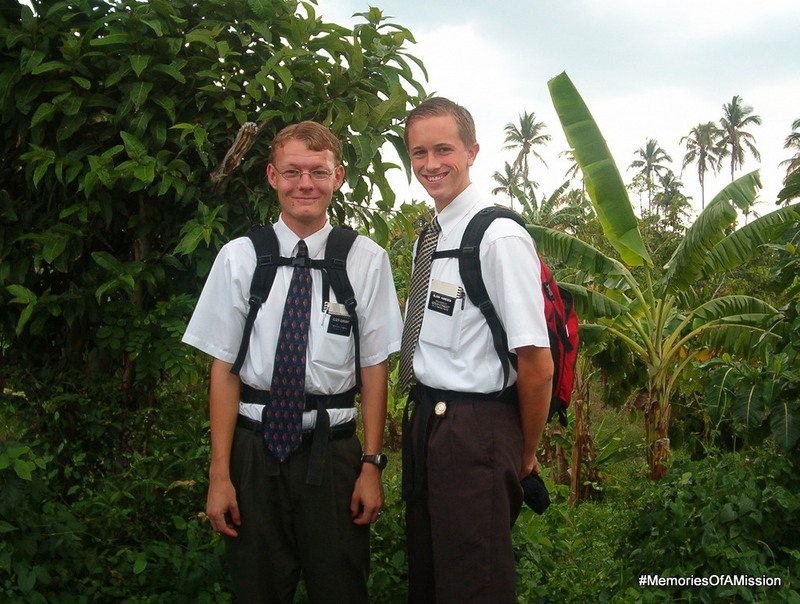 I really believe that that is the key to being successful in missionary work. We also got to visit a little humble family tonight. 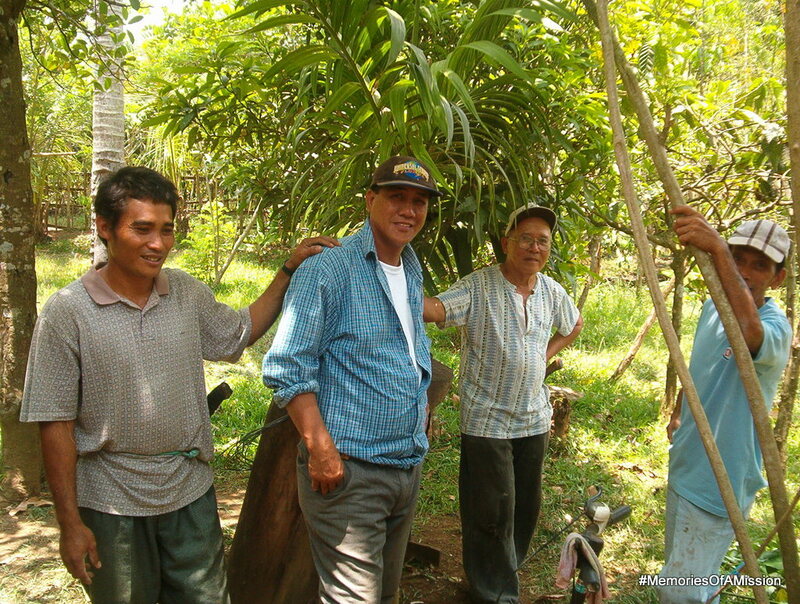 The Papa family live out in the forest in a little kubo hut. They were very nice and fed us dinner. We sang also for them before we taught and that really helped. We taught about the restoration and the received it well. Bro Papa really understood the principle of prophets and I have hope that they will read and progress. Wow I am really getting lazy at writing. I don’t know what is wrong with me but I always complain about my companions. I’m not going to write it. Today we had the baptismal interview for Albert. It went well and his baptism will still happen on the 23rd of April down at the Silang chapel. Again this is another baptism that I only did a little for. 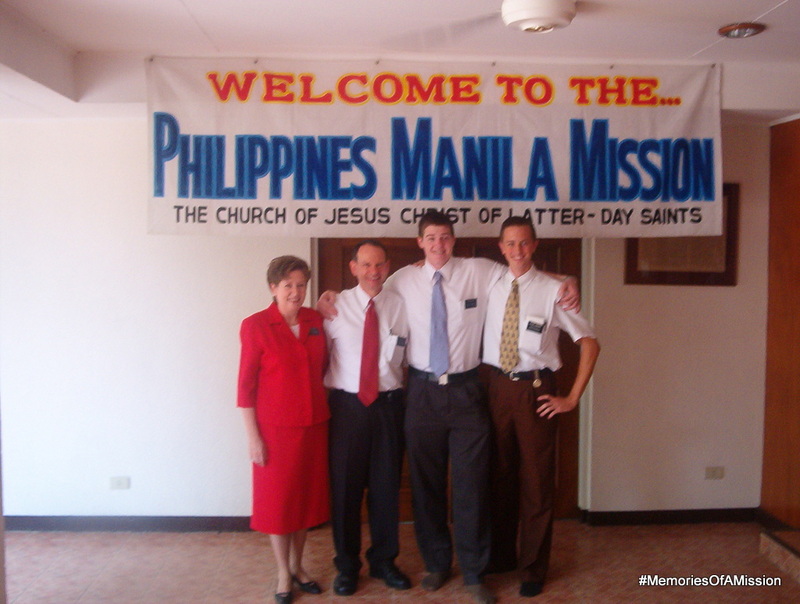 On a happier note, I attended a district leader training on Thursday in Manila and I saw Elder Cox. He told me that the Rose family would be baptized on Friday at 1:00; therefore they are now baptized and will be confirmed tomorrow. I only wish that I could have been there. 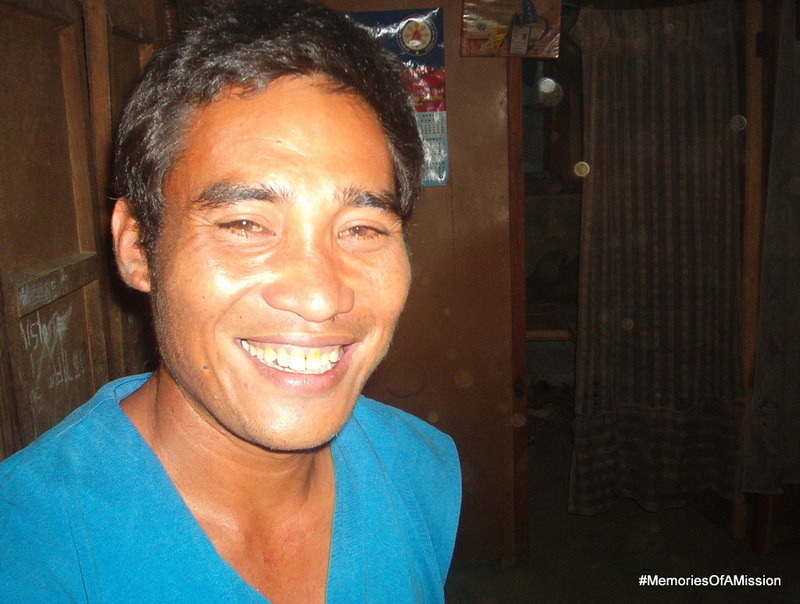 We also visited Alvin Gonzalez today and taught him about the Sabbath day. He has the classic issue that all his family are deeply rooted Catholics and so it is hard to come to church. We encouraged him and I was about to close when the thought came to my mind to promise him that if he would come to church tomorrow his child would be healed from his sickness. I tried to push it out of my mind because of my lack of faith and again tried to close. I asked Elder Durrant and he said it was correct. I told him that it would happen because God had promised it. I was able to tell him that it would happen according to his faith. It isn’t every day that you get to promise blessings like that and so it was a neat experience. I know that if he will only exercise his faith enough to come tomorrow his child will be healed. I hope he will come and overcome his fear. "We will work for the glory of our Lord"